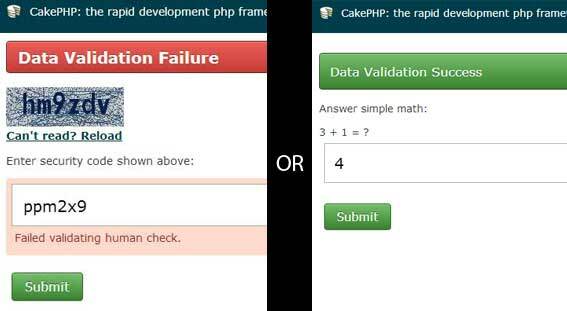 Model validation to validate captcha field value included with examples. Functions(rules) required for model validation are also written in the model file. Follow these simple steps to make it working. Copy attached font file (monofont) to ‘webroot’ folder. Create a function similar to the following in your controller. I have used “signups” controller for demonstration purpose. You should change controller name accordingly. //$this->Captcha->create($width, $height, $characters); //options, default are 120, 40, 6. 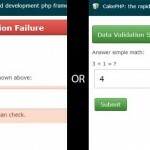 There is model validation code included in the files with example of how to validate it. Files include a model with new validation entry along with two rules (functions).